For many long time gamers, the industries best games came out during the period from early seventies through mid-nineties, the age before advances in technology allowed for highly developed 3 dimensional games to be made. These games are not merely antiques; many of them are still great plays today. The SNES installment of the Metroid series is largely considered the best. The game takes place in a huge world connected by doors and portals. Players take control of Samus Aran, a woman who has to save humanity from space pirates and the like. While not a huge departure from the previous version, the game is more refined and larger, which easily makes it better. Certainly no other side scroller Metroid game matches this one. Still have your old Nintendo? 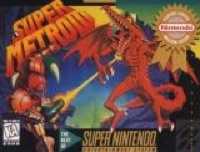 Bring it out and play Super Metroid at Amazon.com! 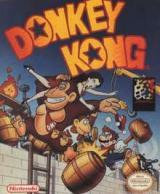 While the title also refers to the Donkey Kong game series where players control DK or one of his friends, the original game was quite different. Players would have to climb to the top of a strange apparatus in order to save the damsel in distress. This version of the game came out in 1981 for the arcade, and was one of Nintendo’s first successes in North America. The game is also one of the first places where classic Nintendo characters Mario and Donkey Kong make appearances. Yes, it’s so simple and so mundane by today’s standards, it seems like pong would have no appeal at all. But back in 1972, pong was all the rage. 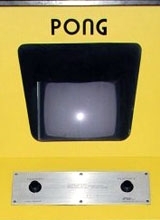 If you haven’t heard of the game before, then you must be from a third world country; that’s how well known pong is. It’s still fun to play today, even if only as part of a drinking game. In 1993, there had already been several Mega Man games, all with the same basic formula: Robot hero fights evil robots and gains abilities and weapons along the way. Well, the plot doesn’t change much here, but the game design has never been bettered. The Mega Man series has always had a problem with game difficulty, but here there was just the right amount of challenge. Players now had to strategize what order to fight the bosses based on what weapons and abilities they have gained. The final fight was a real fight, meaning even the most experienced gamer would need multiple trials to get it right. A great side scroller that has only rarely been bested. Few games are as imbedded into our culture as much as Pac-Man. The game, which is no more than a pie shaped character trying to eat all the dots before ghosts get to him, is enormously popular and has been since its inception in 1979. The game even briefly spun off into a TV show, although I wouldn’t recommend the show as much as I would recommend the game. Really want to reminisce? 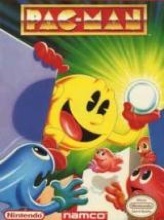 You can get the Namco Pac Mans Arcade Game Cabinet at Amazon.com! 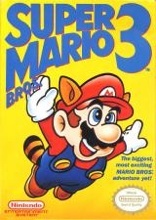 In response to the popular Mario series on Nintendo, Sega decided it needed its own quirky character to make its signature video game around. Success was achieved with the original Sonic, a game that was almost abandoned twice by Sega. 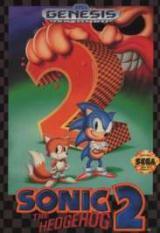 The highly anticipated following, Sonic 2, had all the great features of the first game, and attributes that became permanent fixtures in the Sonic catalog, such as the ‘spin dash,’ second character Tails, and Super Sonic which added even more chaos to the gameplay. While Sega added more great features in future installments, no Sonic game felt as revolutionary as Sonic 2 did. Mario single handedly made Nintendo when the fledging company hired Shigeru Miyamoto to create a game for them. Two installments later, the series was a hit, and the third installment became the most famous. Besides its obvious virtues, the game has appeared in many a bad early nineties movie, and has a very famous video of it on YouTube featuring someone beating it in 11 minutes. Astonishing. The game started life in 1978 as an arcade game, and steadily grew to become one of the most recognizable video game titles of all time. 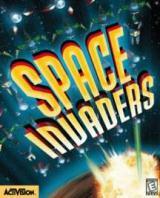 While versions of this game are now available on nearly everything from cell phones to graphing calculators, Space Invaders remains one of the all time most popular and enduring video games ever produced. While in Japan it was released as Final Fantasy VI, it is better known as Final Fantasy III. Still one of the Final Fantasy series most venerable releases, FFIII was quite a long game, even by today’s standards. The game follows the path of a few heroes in what appears to be a late 19th century world. In keeping with this lists style of minimal spoiling, nothing else about the game’s story will be revealed, I’ll just say it is worth your time to play and keep up with the story surrounding Terra. The Zelda series had already been established as one of the Nintendo franchise’s best, along side Mario and Metroid. However, the series reached new levels of sophistication with the third installment, A Link To The Past. At the time it was the longest game in the series, featuring 12 full length dungeons and innumerable side quests. This is the game that first introduced the now reoccurring theme of multiple, mirror worlds to the series. The Zelda series has not produced a better 2D since. Perhaps only Ocarina Of Time betters it, but even that is debated.